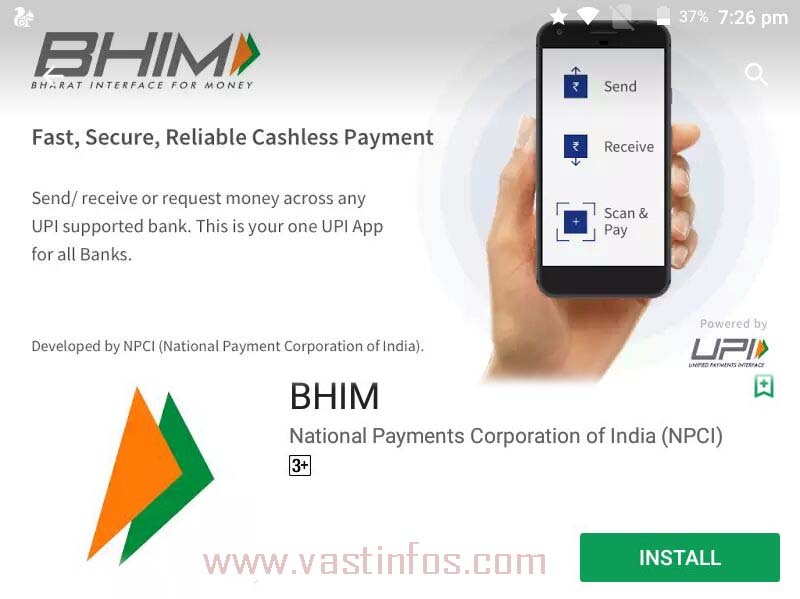 BHIM is the new revolutionary mobile application released by Indian Prime Minister Narendra Modi. BHIM is referred to as Bharat Interface for Money. It is an android application which simplifies money transfer across India. So this application provides fast, reliable and secure cashless transactions. The app is developed by NPCI (National Payment Corporation of India ). This app is interoperable with other UPI (Unified Payment Interface) apps and bank accounts. And you can now start transacting. BHIM is simple App for sending and receiving money customers, friends, family etc. Mobile number is used as the payments address. So you can send money to any mobile number. Axis Bank, Federal Bank, HDFC Bank, ICICI Bank, State Bank of India. Union Bank of India, United Bank of India, Vijaya Bank.